No matter how big your last bandwidth upgrade, is the internet still unusable at peak times? Use caching to store popular content and alleviate congestion. Dreading the disruption of the next Microsoft or Apple update day? 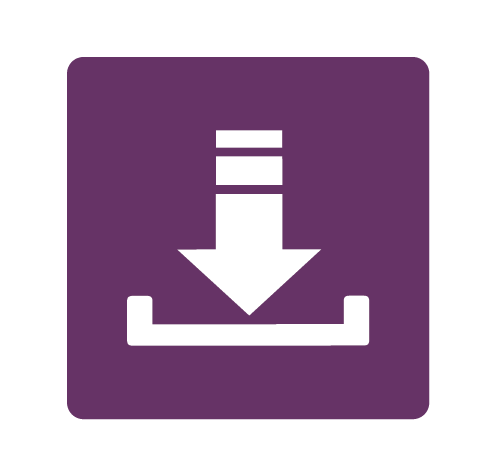 With caching, download software update files just once and serve your devices locally. Can you guarantee the availability of priority educational content? Have you invested in bandwidth capacity but still suffer slow access to some web content? Use caching to localize content and serve it fast. Many schools upgrade bandwidth annually to deal with congestion - but more capacity doesn't equal more speed. Slow content causes real problems in the classroom but it has many causes. That's why the FCC added modern caching solutions to E-rate. E-rate will cost-effectively augment your bandwidth investments. Is it limited to OS updates? Or Online Tests needed 2 weeks a year? Priced sensibly for schools with models to suit any budget. And as a dedicated cache, CACHEBOX is 100% E-rate eligible. Can you afford to miss out? Using E-rate funding, many schools upgrade bandwidth annually to deal with congestion. But this doesn't fix the latency, traffic peaks and slow content delivery that cause real problems in the classroom. To address this, the FCC allocated E-rate funding for caching solutions. Having spoken to districts across the US, many had the same questions about what caching is and how it would help them. This guide will show you how caching tackles common bandwidth problems with examples from US schools that have already deployed caches. Internet unusable at peak times, even after an upgrade? When your bandwidth is congested, your internet requests are queued and students and teachers complain that the internet 'feels slow'. No matter how much extra capacity you purchase, they find a way to fill it! 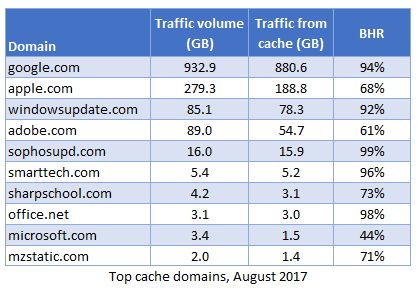 By storing and serving popular content locally, caching multiplies effective capacity alleviating congestion long-term. 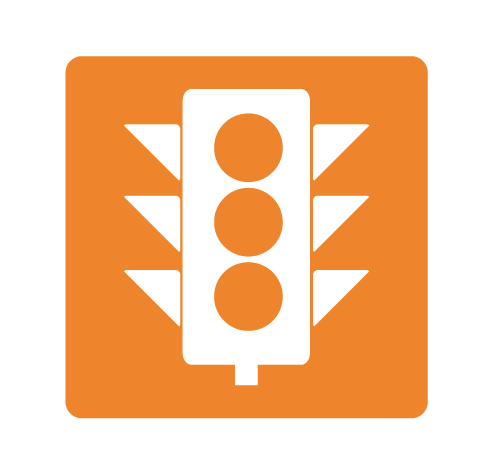 Need to deal with traffic spikes? Ask an expert how caching can help. When students would watch the same video at the start of class, browsing was painfully slow: lesson time was wasted. Before it deployed caching, the district was on the verge of banning video content for it's 1:1 e-Learning programme. The cost of bandwidth is very high for St Johns, but with CACHEBOX students won't miss out on fast web content. Teachers typically instruct whole classes of students to access the same online content at the start of lessons. But that simultaneous jump in traffic can saturate your internet connection, slowing or stalling access, tripping up lesson plans. Upgrading to higher bandwidth capacity may help. But most schools find that demand quickly grows to fill the new capacity as teachers who previously avoided using online resources in the classroom find them usable once more. Soon your new capacity is routinely congested again. Such temporary spikes in demand mean 'Peak' traffic can easily reach 4 or 5 times the school-day average - resulting in short but frustrating spells of congestion.. Buying enough bandwidth to cater for these traffic spikes is simply not cost-effective. The good news is that these same enormous peaks are, in fact, highly cacheable. Caching can significantly multiply a school's effective capacity by serving stored content to multiple users locally, letting your network serve far more requests than your internet connection alone would allow. In simple cost savings alone, payback is rapid and return on investment is high. When I look at the reports and I see how much we are saving at peak times, I think, "these would have been times where people would have been suffering" but instead they are getting great performance. 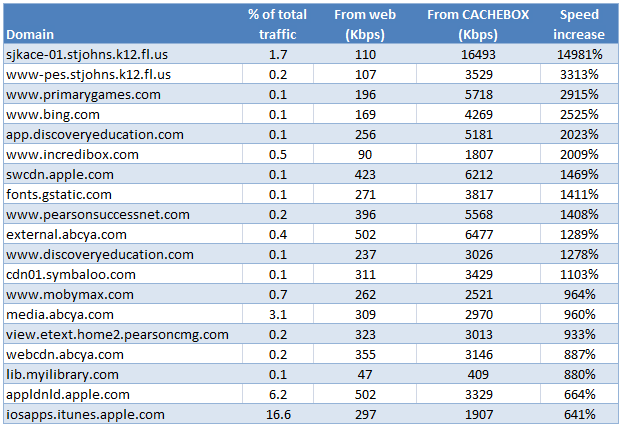 Our CACHEBOX at one site outperformed bandwidth upgrades at other sites. So over the past two years the district has decided to pass on updates to the network in favor of a CACHEBOX for all buildings. CACHEBOX has really helped us avoid congestion. I get no mentions from teachers of challenges with the network. We couldn't live without it. As Network Administrator at Sioux Central, Keith Stoeber's top challenge was network performance: the District's 35Mbps internet connection couldn't support online learning. Support calls were high, with teachers not being able to complete their lessons on time. "When everyone would try to download the same video at the start of a lesson, browsing was painfully slow: time was wasted just waiting for a page to open. Our 1:1 scheme was introduced to encourage independent online learning in the classroom - we knew that this would engage students more - but our existing link just wouldn't allow it," says Keith. During peak times the district needed a 60-80 Mbps bandwidth capacity. Scott Fosseen from the AEA worked with Keith to evaluate technologies that might alleviate the bandwidth congestion, and ApplianSys' CACHEBOX solution was recommended. "The evaluation made it pretty clear to us that we needed CACHEBOX as a permanent solution because we simply couldn't deliver media-rich content in the classroom on our existing bandwidth," says Keith. Following this, a CACHEBOX210 unit was permanently deployed in the network using WCCP. "CACHEBOX was really easy to set up and deploy. At peak times - like the start of a lesson - we can now deliver content at far greater speeds than our bandwidth would previously have allowed. This regularly peaks at over 140Mbps, but thanks to CACHEBOX we can handle that type of traffic whenever required," Keith comments. North Palos SD has saved their 1:1 initiative from being abandoned due to slow, often unusable Internet access in the classroom. Despite having a healthy 160Kbps per student, bandwidth was often saturated as half the district's users regularly needed access to web content at the same time. A bandwidth upgrade would seem an obvious fix but, like many districts, North Palos was tied in to an expensive fixed-term contract. The cost of upgrading to a higher capacity connection was extremely high, even with E-rate funding. So, with teachers unable to conduct lessons effectively, the Tech team planned to ban 1:1 content altogether. Fortunately, they discovered web caching. With caching, North Palos now downloads and stores just a single copy of content locally. This satisfies all subsequent requests at lightning fast LAN speeds - without consuming more bandwidth. Results have been instant. By January, over half of all web content was served from cache, freeing up 52.9% of capacity for other content. On average 90% of education content from google, ABCya!, pbskids and many more is now served from cache - 5, 10, sometimes hundreds of times faster than from the web. Caching has effectively doubled existing bandwidth capacity. North Palos now has the fast, reliable service it needed, at considerably lower cost than a bandwidth upgrade. St Johns is a large district of over 32,000 students spread across 39 schools in Florida. The district has reached the FCC's 2016 bandwidth target of 100Kbps per student, but the cost of this connectivity is huge. Reaching the 2018 target of 1Mbps per student will require an unrealistic budget, even with E-rate support. Fortunately, the district is able to deliver high speed content with a combination of existing capacity and caching appliances. The average peak speed of web content served by CACHEBOX is consistently several times faster than content served directly from the web. That average includes sizeable software update files, but in the classroom it's what's happening to the important content that matters most. St John's caching report for May 2017 (right) highlights the impact of caching on core learning content from Pearson, Discovery Education, PBS Kids, abcya.com and more. 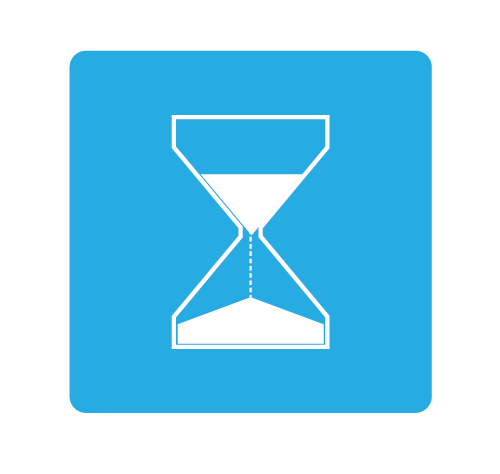 Most classroom content is served between 5 and 30 times faster from cache. The result is a significantly more 'snappy' browser experience, with less waiting for pages to load and more time to answer questions. Student engagement is optimized, saving accumulated browser wait that can amount to days of lost teaching and learning time over a school year. Can you guarantee the responsive learning experience demanded in todays' classrooms? Slow access to online resources stops educators from making use of educational content that improves students' learning experiences and helps prepare them for 21st century careers. A schools-focused cache will ensure that your students get faster access to online educational resources like Compass Learning, Success Maker or YouTube. Edu content too slow in the classroom? Ask an expert how caching can help. 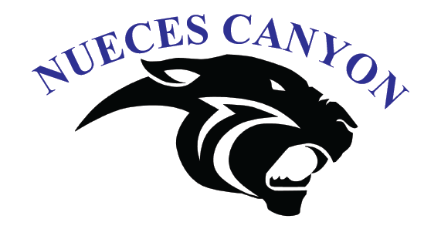 Caching helps Nueces Canyon eliminate congestion when students simultaneously access new LearnPad assignments. Even with a 10Gbps internet connection, CACHEBOX is still able to serve content 30 times faster. Today, teachers use YouTube and other learning videos to encourage independent learning, improve student engagement and communicate complex ideas. But for network managers, video can be a real headache! Dozens of students simultaneously downloading a video can bring down your entire network. By storing priority content in a cache and serving it locally, you guarantee instant access whenever your teachers and students need it, regardless of any other demands on your bandwidth. But what about HTTPS sites? You may have heard that the internet is 'going secure' and so this content will become impossible to cache. It's true that in some environments, it's very difficult to cache HTTPS content. This is not an issue at schools as you have control over the devices being used and schools-focused caches can safely decrypt and cache content. CACHEBOX has features that make this easy for you to achieve. In addition to handling popular US education content, CACHEBOX supports popular Learning Object Repositories like Equella. So even remote schools with limited connectivity can access lesson plans and content as easily as their urban colleagues. CACHEBOX takes the pressure off CCSS online assessments. Test content is stored locally so each test computer only downloads the content across the LAN, guaranteeing instant access to every student. As a result, all tests can be completed even if there is a disruption to the school's internet connection. ApplianSys has worked in partnership with Pearson to deliver Proctor caching on CACHEBOX. Proctor caching accelerates delivery of a variety of online assessments that use Pearson's TestNav testing platform, including ACT, SAT, PSAT, PARCC and K-PREP. So with CACHEBOX, you don't need to purchase an additional server to meet testing requirements, and you get a cache device that helps with all traffic every day, not just some traffic at exam time. Access to Compass Learning has been sped up considerably since installing CACHEBOX. And once you have it up and running it just takes care of itself - so I haven't needed to think about it. I've noticed a big improvement in speed...and it's only going to get better as more YouTube videos and Khan Academy content can be sent to the classroom using LAN speeds instead of our internet - It's awesome. CACHEBOX has been essential for our eLearning capability. ApexLearning was a mess in the past and now I don't hear anything. When Nueces invested in a LearnPad 1:1 scheme it found that the frequent software updates requested by devices caused extreme congestion on the internet connection. The extent of the issue became clear once the district deployed CACHEBOX. Software Updates accounted for over 70% of the data downloaded from the internet. And because the student devices were identical, much of the required data was duplicate, making it ideal for a copy to be cached and served locally. Louis Webb, Technical Director confirmed: "This box has nearly doubled our available bandwidth. I am seeing a much more responsive internet experience here on our WAN. I would recommend the CACHEBOX to any school - especially schools with a 1 to 1 deployment" says Louis. "I have been the tech director at our school for twenty years. I must say that CACHEBOX is the best investment with the greatest outcome of any appliance I have ever purchased for the school." When East Peoria decided to increase student device numbers and introduce e-Learning across more of its core curricula, it was concerned that its 300Mbps internet connection might be insufficient. The tech team were right to expect problems. Having fully implemented 1:1 they quickly found that when whole classes of students armed with individual devices accessed the same web-based material - at the same time - the instant spike in concurrent demand would saturate the network. And, with increased device numbers, more software updates were being autonomously requested. Files often so large they would hog the bandwidth, trickling down the internet all day - slowing down all other traffic. Vital learning content including video became painfully slow to view, impacting student engagement. With teachers equally frustrated, learning was suffering, and future results from online PARCC testing were at risk. The district had also specifically chosen ApexLearning content to manage their more challenging students who were difficult to engage and often harder to teach. Without fast, reliable access in the classroom their chances of graduating were deteriorating. But, in choosing CACHEBOX, East Peoria students access the content they need at lightning speeds. By offloading popular or bandwidth-intensive content to a local cache, bandwidth demand is slashed, freeing up precious capacity for other things. A single copy can meet multiple requests instantly - delivered at LAN speeds - making classroom access responsive and fast. With a student population of approximately 31,000, Anaheim is one of the largest school districts in California, with Internet throughput to match. But as an urban district, Anaheim has access to comparably inexpensive bandwidth - they pay the same price for 10Gbps that a rural Texan district pays for 50Mbps. This means that Anaheim's bandwidth capacity per student is actually much higher than average, so students shouldn't suffer the effects of network congestion. However, even with a considerably higher than average 400Kbps of bandwidth capacity per student (four times the FCC's 2016 target for schools), Anaheim's students still find content that has to be fetched from the web arrives at sub-optimal speeds. We can see (table right) that classroom content arrives at a vast range of different speeds from the Internet, but all are significantly slower than content that is served from cache. Slow internet despite investing in more bandwidth? Even with unlimited bandwidth, your users would still experience slow content delivery due to a host of factors from transmission latency to a slow content provider server. 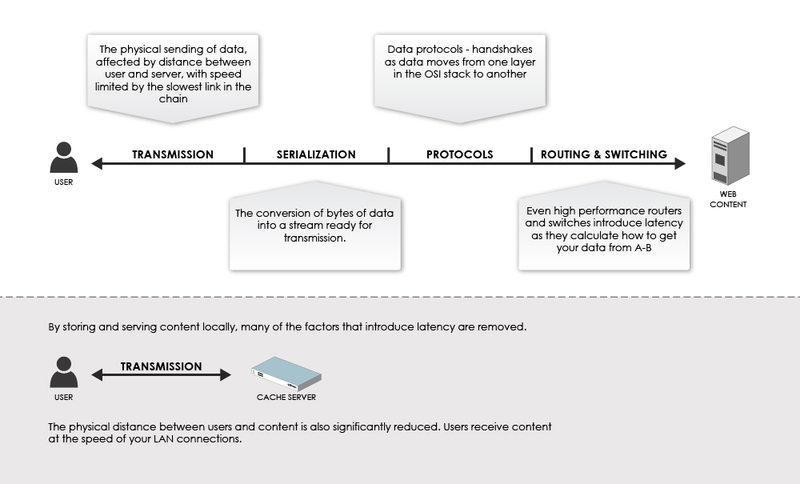 By storing and serving content locally, caching bypasses all such problems, optimizing high capacity internet connections and making small connections feel lightning fast. Despite a 1Gbps connection, speed to the district's six buildings was far too slow for their 700+ concurrent users. By serving web content from within the LAN, priority education content is now served up-to 40 times faster. Upgrading bandwidth lets you support more users, but the speed at which your users can access content is impacted by many other things. From the physical sending of data to the ability of the content provider's web server to meet demand, many of the causes of slow content are outside of your control. Caching content - storing and serving it locally - eliminates these delays and puts user experience back in your hands. In schools, this can be the difference between keeping students engaged and losing their attention as they wait for content. Latency is often a problem where a large internet connection at one school is shared with others in the district. Despite being nearby, schools that rely on this central connection are disadvantaged: those few extra transmission, routing & switching steps between school sites can slow browsing, preventing teachers from using online educational tools and content. Deploy caching at remote schools to get LAN-speed content and reduce reliance on your central pipe. CACHEBOX does exactly what it's supposed to do. It helps a lot with making things faster on the network. Even on our 1Gbps pipe, I can see the difference. I've noticed a big improvement in speed. And it's only going to get better as more YouTube videos and Khan Academy content can be sent to the classroom using LAN speeds instead of our internet - It's awesome. As Hannibal SD expanded e-learning across its 8 schools, it quickly found its network congested. With multiple users accessing bandwidth-heavy content such as video, and learning content arriving from particularly slow servers upstream, traffic would simply clog their internet link, resulting in a slow, often unusable service. With bandwidth maxed out, video would simply not load, apps wouldn't work, content would take forever to appear. With so many complaints, the district was forced to ban YouTube altogether, even though teachers were keen to use it. Having seen that upgrading bandwidth again and again was never going to solve the problem, Jonathan McCammon Technology Coordinator was excited to be shown CACHEBOX via the local schools' consortium. By storing popular content locally and streaming it direct to end-users from within the LAN, huge swathes of internet demand are offloaded and any web latency is avoided. With CACHEBOX the district has dramatically accelerated learning content - it's not just 2 or 3 times faster, but 15, 22 even 97 times faster! And by lowering actual demand on the internet link. Hannibal has freed up space for more bandwidth-hungry content such as YouTube videos. Teachers are now free to include video in lesson plans. Airport Community School District in Michigan had a healthy 1Gbps Internet connection. Yet the connection speed to their six buildings was proving too slow for their 700+ concurrent users, which was causing YouTube videos to buffer. With more devices being added all the time, they turned to web caching to free up bandwidth and increase their Internet speeds. Although their existing firewall provider offered web caching, this would have required teachers to build YouTube playlists in advance. Not ideal for flexible, dynamic e-Learning. CACHEBOX310 gave them a more user-friendly solution, without that constraint. Following deployment in October 2017, the district has seen consistent Byte Hit Rates of over 25%, peaking at nearly 80% in December. Hundreds of GBs of data are now being served locally from CACHEBOX every month - directly over the school's LAN - providing students with much faster access to e-Learning content. At times, they are accessing content 9 times faster than via the Internet. In a rural setting, Highland Local Schools would struggle to meet the FCC's 100Kbps per student target without spending a very large proportion of budget on bandwidth capacity. Fortunately CACHEBOX offers a smarter way to guarantee fast content to students. By storing content locally and serving it from within the LAN, Highland Schools avoid the potential causes of slow content like network congestion or a content provider's slow web server. Education content from providers/sites like Starfall, ABCya!, storylineonline, roomrecess, and mathplayground was delivered between 20 and 40 times faster from CACHEBOX than any uncached content that needed to be collected from the web. Are you dreading the next Microsoft or Apple update day? Every tablet, PC, laptop and cellphone in your network needs regular software updates. 1:1 and BYOD schemes multiply that demand, so 'Microsoft Monday' can soon crash your network. By caching software updates you offload masses of material, instantly freeing up internet capacity for the content that matters. Sufficient Internet capacity for 1:1 was a top priority. Deploying a CACHEBOX quickly freed up 50% of their bandwidth for faster access to content. Bandwidth is very expensive in Franklin's rural locale. Offloading 99% of update traffic makes 1:1 feasible. A 1 device to 1 student scheme enables independent learning and levels an uneven playing field for poorer students. But it gives network managers the headache of managing software on hundreds or thousands of additional devices. OS, anti-virus and application vendors regularly provide updates to improve performance, usability and security. These files are often enormous, swamping your network when simultaneously accessed by thousands of devices. To get the most out of your 1:1, you'll need the 1:1,000 approach to software updates that only caching can give you: 1 download:1000s of devices. The savings that I am making on updates and my 1:1 scheme are phenomenal. CACHEBOX has completely cut down the congestion on my network. We can update all our Chromebooks in one go, even during normal school hours when our network is busiest, without worrying about slowing things down for students and teachers. Lindbergh Schools is the No. 1 district in Missouri for Academic Achievement. It serves 5000 students at 5 elementarys, 2 middle schools and a high school. Director of Technology Mariano Marin-Gomez explains: "In 2010 we introduced a 1:1 student-laptop initiative which added around 2000 laptops to our network. The legacy caching servers we had in place stopped providing critical software updates. With our future scheme allowing students to bring their own devices to school, we were worried about how to cope with the pressure on bandwidth," says Mariano. Buying additional bandwidth was very expensive, so Lindbergh decided to upgrade its caching and turned to CACHEBOX to make the most of its existing bandwidth. Lindbergh Schools District deployed a CACHEBOX230 in front of each of its two service provider links and since deployment, user browsing experience has dramatically improved. "There's a lot of YouTube traffic, especially on the student network - this is handled very well by CACHEBOX. We had around 30% bandwidth saving from YouTube caching last year. We also saw significant bandwidth savings from software updates (83% for Adobe and 86% for Apple). User complaints about slow browsing speeds have significantly reduced since we deployed the units," he continues. The School District of Black River Falls in Wisconsin has a 300Mbps connection shared across its two Elementary Schools, Middle School and High School, which is essential for delivering its 1:1 e-Learning program. However, with a growing number of devices connecting to the network and downloading software updates in the background, students and teachers were facing frustrating delays when accessing educational resources and YouTube videos. With their CACHEBOX230, they now make better use of their bandwidth by caching these software updates locally and serving them out over the LAN at higher speeds. The results are impressive. They achieved a Byte Hit Ratio (BHR) of over 50% for six consecutive months, including a peak of 82% in August. BHR shows the ratio of Internet requests served by a cache versus those going out to the Internet. The higher the BHR, the better! Deeper analysis shows that, along with updates from Google, Apple and Microsoft, CACHEBOX is improving access to the school's e-Learning Management Systems (Sharp School and SMART Technologies). With their educational resources available at increased speed over the school's LAN, rather than having to be downloaded from the Internet each time, students are working more effectively without having to wait for web pages and videos to load. Franklin already spends $1700+ each month for 300Mbps web access - any higher and the cost would impact other school priorities. Yet with device numbers increasing and the network under constant pressure, an upgrade seemed the only answer. Luckily for Franklin one of their tech team had experienced caching before and some quick research highlighted CACHEBOX - the #1 caching solution for schools in the US that enables schools to offload internet traffic. When more devices are added it's not just learning traffic that grows. As each device regularly downloads files to keep itself updated, there can be a mammoth shift in downloads. This traffic consumes precious learning bandwidth and cripples networks - but caching those updates means huge savings in capacity. For Franklin, each device downloading its own update file meant Gigabytes of the same data, often accounting for nearly all downloads. But CACHEBOX cleverly downloads everything needed in one go, meeting all subsequent requests from local storage and serving it at LAN speeds. In the first half of 2018, Franklin's network experienced 2 months that were saturated with huge software updates from Avast. February saw 96.7TB of data requested, of which CACHEBOX delivered 95.7TB - and in June 2018, 37.0TB of 37.1TB was served locally - that means pretty much 100% of Franklin's 300Mbps of bandwidth stayed unused in those months. With cached content averaging 66% of requests, the district can happily stay at 300Mbps. No need for an upgrade, even when considering complete 1:1. CACHEBOX doesn�t just cache a narrow set of content, like Apple apps & updates or PARCC assessments. Designed to cache everything that matters to schools, it caches more types of educational content than anything else on the market. If you need it, we�ll work to include it. With plans to add more devices, Seneca used caching to protect their bandwidth capacity investments. Huge Windows, Apple and Adobe software updates are taken care of, along with antivirus software like Avast and Kaspersky. Support for leading online assessment content, including PARCC, ACT Aspire, ACT, ACT WorkKeys, ACT QualityCore, SAT, PSAT and other testing platforms using TestNav. 32% average bandwidth savings across the day, with savings of up to 90% at busy spots during the day. As for feel on the network, I've noticed a big improvement in speed. The teacher generally previews content, thus caching it so it's ready to go when students access it. Some downloads could waste 5 or 10 minutes of class. That time-waster is now eliminated. September 9 2014: ApplianSys announced today that Seneca R-7 School District, Missouri, has purchased a CACHEBOX solution to facilitate its 1:1 programme and ensure reliable multimedia delivery to students. The school district comprises four schools linked over a fibre network, with around 2000 connected devices. IT Director at Seneca, Nathan Busteed, says: "We upgraded from 20 to 50MB last July but added more devices than previously planned. On average we were only using 28MB of 50MB, but at the start of lessons - which is peak times for us - we very nearly max out our bandwidth." Brad Smith, Sales Executive at ApplianSys comments: "Many students at Seneca use Chromebooks. Each time a machine is switched on the system automatically checks for and applies any new updates that it finds. When this happens in the hundreds at the beginning of the first class, the connection at Seneca becomes impossibly slow." Nathan says: "We had the option of upgrading to 100MB but I heard of CACHEBOX's success at Webb City R7 Schools and wanted to look into a web cache appliance first. Given that we wanted to provide an additional 500 Chromebooks and 400 tablets next year, followed by more in the next few years, we would soon outgrow 100MB anyway." Automatic system updates, such as updates for Chrome OS, require only part of a file to be downloaded. But simple caches are only effective when a whole file is requested, and so are incapable of caching these. CACHEBOX easily copes with 'range requests' like this, so that all requests can be served from cache. Seneca Schools bought a CACHEBOX230 to serve student requests across all four school sites. Brad comments: "Nathan made a smart decision increasing Seneca's existing bandwidth capacity sooner rather than later. CACHEBOX relieved the beginning of lesson peak times and delayed the need for a bandwidth upgrade. Students can now quickly access online resources, and value the excellent browser performance in class." Seneca R7 School District serves the small town of Seneca in the Southwest of Missouri, near the border with Oklahama. It includes Seneca Intermediate School, Seneca Junior School, High School and Elementary School. September 15 2015: ApplianSys is pleased to announce that Wentzville RIV School District in Missouri has purchased a CACHEBOX420 to tackle bandwidth congestion and cater for a growing volume of student devices. In 2013, Wentzville launched a 1:1 student-to-device scheme at its 3 high schools, distributing 4200 Chromebooks to students. This put heavy strain on Wentzville's 250Mbps internet connection, leading the district's technology team to build a simple DIY caching appliance to offload traffic. Wentzville plans to upgrade student devices in 2016 and distribute the older Chromebooks to lower schools grades. This will double the number of students connecting to the internet at school, so the district upgraded to a 750Mbps link to provide extra capacity. To protect its additional bandwidth from congestion and prepare for even greater traffic volume, the district now needed a caching appliance that could operate at the higher throughput allowed by their upgraded connection. "Launched this year, CACHEBOX420 is a perfect fit for Wentzville," explains CACHEBOX Sales Executive Sophie Clark. "Like the rest of the CACHEBOX range, CACHEBOX420 is packed with schools-focused features but its hardware has been specified to handle a high volume of traffic normally seen at an ISP or large corporation. Fortunately, CACHEBOX420 doesn't come with a carrier-grade price-tag! In fact, E-rate funding for caching has meant that Wentzville gets a fit-for-purpose cache with very little impact on its technology budget." Wentzville RIV School District caters for over 14,000 students at 10 Elementary Schools, 3 Middle Schools and 3 High Schools. It is located in Saint Charles County, one of the fastest growing counties in the nation and the fastest growing area in Missouri, 40 miles west of downtown St. Louis. Need help with your E-rate application? If you haven't applied for E-rate funding before, the process can be confusing. It's been made clearer since USAC launched its E-rate Productivity Center (EPC) in 2015, providing an online tool to process forms and conduct other program activities. Obtain a Billed Entity Number (BEN). This will generally be assigned when you create your ECP account. You can find out more here. Post a Form 470 via the EPC by 13 April 2017. Follow the Competitive Bidding process to ensure best value for your district and avoid giving any one vendor an unfair advantage. File an FCC Form 471 via EPC to apply for funding to purchase your chosen solution. The deadline for this is 11 May 2017. The FCC will review your application and notify you once it is approved by issuing a Funding Commitment Decision Letter (FDCL) that detail how much funding you will receive. On receipt of your FDCL, you can purchase your goods/services and, once received, you must file Form 486 via EPC to notify the FCC. Most applicants pay the vendor directly and file the Billed Entity Applicant Reimbursement (BEAR) Form 472 via EPC for reimbursement. Some applicants pay the non-discounted element to their vendor and ask them to file Form 474 to be reimbursed for the discount amount. Still need help? Please do get in touch. An ApplianSys sales consultant can help you understand E-rate and how to make a funding application for your caching requirement. How does caching actually work? A cache is a server that is deployed in your network to bring content 'closer' to your users so they can access it faster without consuming bandwidth. When one of your users downloads an object,	a copy is stored on the server 'in the cache'. Subsequent requests for the same content will be served from the cache. Our traffic is mostly HTTPS. Can caching help? Caching HTTPS content is certainly more challenging than unsecure HTTP and it is inappropriate for ISPs due to privacy concerns. Therefore, due to their focus on ISP customers, caching vendors do not typically support HTTPS. Because CACHEBOX is tailored for schools, ApplianSys has developed the functionality to cache HTTPS content from YouTube and other popular educational content sources. CACHEBOX also features Reverse Caching functionality that enables copies of content from educational resources like Pearson SuccessMaker to be stored and served locally. I've already got enough bandwidth or I've applied for an upgrade, do I need a web cache? A common misconception about web caching is that it's an alternative to bandwidth upgrades. Many schools across America find that even with high bandwidth, they have a problem with peak demand. This is one reason why the FCC is promoting web caches alongside extra bandwidth in the E-rate program. Most schools find that a cache delivers more benefit than a bandwidth upgrade at a significantly lower cost, offering a Return On Investment that can be calculated in months rather than years. My web filter does caching, do I still need a dedicated caching appliance? Many networking products have some basic caching functionality but lack the hardware (in term of storage) or school-specific features needed for schools to fully benefit from caching. With a range of caching models, features like pre-caching and support for educational content, CACHEBOX offers school districts a solution that is fit-for-purpose and fit-for-budget. 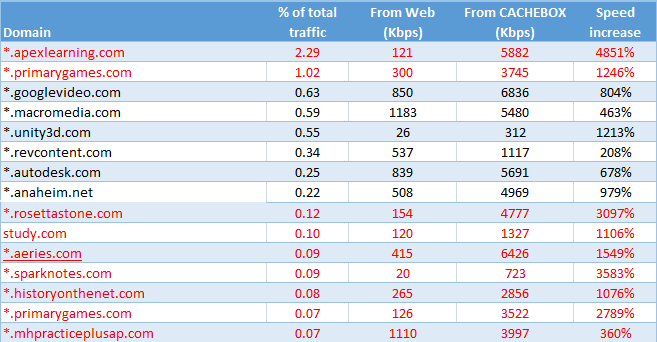 I use a traffic shaper to manage my bandwidth consumption, how will a web cache help me? Many US school districts use traffic shaping to ensure that critical online services and content gets preferential allocation of bandwidth. This is a great way to protect key services but it can mean that other content is not given enough bandwidth to be usable in the classroom. Because video content like YouTube is not core, in the words of one of our customers: "it can be traffic shaped to oblivion." Shouldn't I just buy a software update cache? Having recognised the problems caused by repeat downloads, some software vendors have developed caching servers to help organisations localise their own update files. But these 'closed' caches only store and serve content from one vendor and often have the same administrative overhead as an 'open' solution which will cache a far greater range of content. A schools-focused cache will save bandwidth and speed up software updates for many vendors content, as well as the educational content that your teachers want to use in the classroom. I know of a school that purchased a device with a caching feature and they were only able to get E-rate funding for a tiny proportion of the cost. When a networking device has caching as part of a larger set of features, it is often only eligible for part funding. In fact, if more than 30% of your chosen product's functionality is deemed to be ineligible, your entire request may be denied. 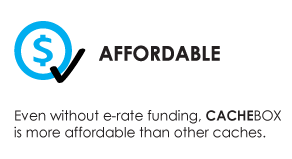 Because CACHEBOX is a dedicated cache, it only includes functionality that is eligible for funding on E-rate. This means that CACHEBOX is eligible for full funding and it makes your application simpler than a part-funded solution. Would I need to buy a cache for every school in my district? This will depend on how your schools connect to the internet. Where a central connection is shared by all schools in a district, many schools find that a single large cache deployed in the network core is sufficient. Others find that deploying smaller, lower cost caches at each school is more beneficial and/or cost effective. With some basic information about your network and traffic, we can help you determine the most appropriate solution for your requirement. I've already submitted my form 470, is it too late for me to apply for caching? No, you're able to submit as many 470s as you need. My focus is BYOD / 1:1. How can caching help? By storing the content locally and avoiding unnecessary bandwidth traffic from repeat requests, caching creates more capacity in BYOD/1:1 environments. By optimising the available bandwidth, you can add more users to your network without having to continually worry about bandwidth upgrades. Wondering whether CACHEBOX can cache YouTube traffic in BYOD environments? It can! Get in touch to find out more. 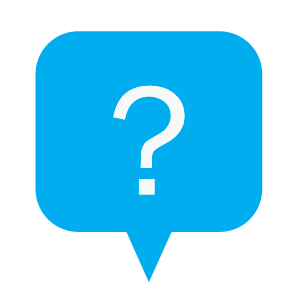 If you have a question that hasn't been answered here, please do get in touch. An ApplianSys caching consultant will help you understand caching and how it can specifically help you. Find out more about why US schools are deploying web caches, and why they've overwhelmingly selected CACHEBOX. Why are US schools deploying web caches? Join an ApplianSys webinar to hear what we've learned about US School District's experiences with bandwidth, caching and E-rate. 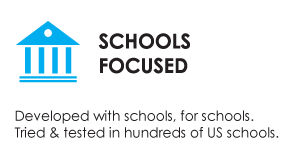 Find out more about why US schools are deploying web caches, and why they�ve overwhelmingly selected CACHEBOX. Want to discuss your districts caching requirement? Provide us with some details and an ApplianSys sales consultant will be in touch. Join an ApplianSys webinars to hear what we've learned about US School District's experiences with bandwidth, caching and E-rate. To help schools during E-Rate 2018/2019, ApplianSys hosts a range of webinars that give an overview of caching technologies, the E-rate process and the experiences of schools that have already deployed caches using E-rate funds. Our 'Why Cache?' webinar will introduce caching technology, describe how modern schools web traffic is well suited to caching, and, using data from real US school district deployments, demonstrate how it will benefit you. Why caching is a better investment for your schools compared to bandwidth upgrades. Exploring how CACHEBOX has been designed to meet the specific caching requirements of K-12 networks. Get in touch to arrange for an ApplianSys consultant to discuss your E-rate caching plans at a time that works for you. CACHEBOX doesn't just cache a narrow set of content, like Apple apps, single-vendor updates or PARCC assessments. Designed for 'whole-school caching', CACHEBOX caches everything that matters to schools. It caches more types of educational content, device software updates, and any-platform apps than anything else on the market. If you need it, we'll work to include it. Manage the growing demand for bandwidth-intensive video content in the classroom. Cache the likes of YouTube or PBS content. 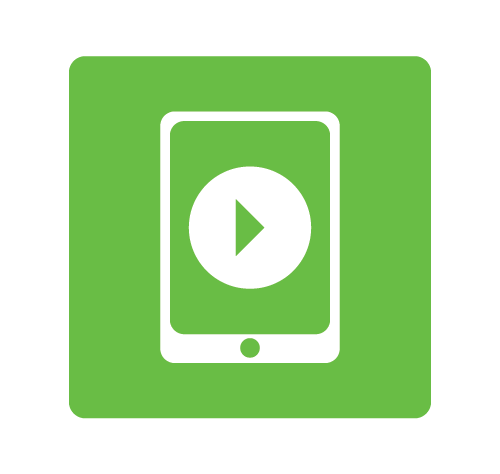 Let teachers collect and share popular videos with their students in CACHEBOX's Media Library. We work with many online content providers, including Pearson and Britannica. We will happily work with your specific provider to ensure your classroom content can be cached. Those huge Windows, Apple and Adobe software updates are taken care of, along with antivirus software like Avast and Kaspersky. There is a common misconception that caching will serve out-of-date content and cannot keep up with the modern web trends, like HTTPS traffic. Whilst this may be true for some diy or basic caches, ApplianSys invests in developing features that ensure schools continue to get great caching performance. Evidence from USSD deployments proves that [remove full stop]CACHEBOX delivers. It is a smart, dedicated caching appliance with a highly-tuned cache engine that uses clever algorithm profiles to respond automatically to content delivery changes made by specific websites - maximising caching compatibility. Every time content is requested, CACHEBOX checks metadata to confirm it always serves the latest version. CACHEBOX handles HTTPS traffic, popular CDNs and the static elements that make up dynamic content. Use Media Library to store offline sites; allow Teachers to collect and share their own video collections with students securely, Maximize bandwidth savings by scheduling large downloads off-peak. Enough storage to handle large software update files, whole offline sites and many semesters worth of lesson material. "Making network managers' lives easier"
We know that schools don't want to swap a bandwidth headache for a server management one. Since 2001, ApplianSys' mission has been the same: to build server appliances which make network managers' lives easier. The appliance advantages of CACHEBOX add up to big savings in time and resources, which means lower Total Cost of Ownership than alternatives. With CACHEBOX you don't have to worry about complex configuration or increased administrative burden. Easily manage your CACHEBOX from any web browser thanks to its intuitive user interface, setup wizards, customizable reports and automated alerts. CACHEBOX supports a range of deployment methods and works well with popular filters and firewalls. Most schools simply deploy CACHEBOX themselves - it's so simple! CACHEBOX is designed to self-manage - minor updates are automated. Firmware updates are easy. Manage multiple units using CACHEBOX Central Management Console. Get local world-class technical support from our global partner network, backed up by direct access to ApplianSys experts. Education budgets are tight. That's why we don't believe schools need to spend excessive amounts of money on bandwidth. Or choose expensive, overspecced and overcomplicated commercial-grade caching solutions. CACHEBOX is not only surprisingly affordable - its value proposition simply can't be beat. As a dedicated, purely caching solution all CACHEBOX models are entirely eligible for e-rate funding. Running low on your Cat 2 funding? No problem! Even without e-rate funding, CACHEBOX is surprisingly affordable. 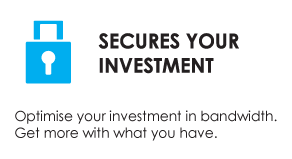 CACHEBOX is a scalable solution - the investment you make this year won't need to be scrapped and started all over in a few years time. By accelerating a broader range of content in the classroom CACHEBOX saves more bandwidth than any other solutions. With hundreds of our devices now installed across 40 states, we are uniquely positioned to report on the actual outcomes where caching has been deployed. The evidence is indisputable: bandwidth hogs are eliminated, congestion peaks are flattened and education content is much, much faster. By augmenting bandwidth investments with caching, districts can implement internet-enabled learning schemes cost-effectively, confident that infrastructure will be dependable now and in years to come. 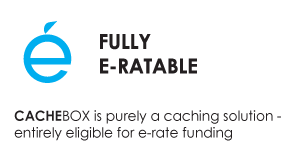 CACHEBOX is E-rate's most popular caching appliance*. It already helps teachers across America cope with increasing demand for bandwidth-intensive content in the classroom. * USAC data shows that in 2016 CACHEBOX was selected in more than 32% of caching 471s. For Lindbergh Schools District, a BYOD scheme and the move towards a 1:1 pupil to computer ratio raised the challenge of how to effectively cater to a growing number of devices on its network. Thank you. An E-rate consultant will be in touch. A comprehensive product tour of the ApplianSys CACHEBOX, exploring how the solution has been designed to meet the specific caching requirements of K-12 traffic profiles and network environments. Since the FCC's decision to fund caching in schools' networks, districts across the US have been taking a fresh look at this technology. This recorded webinar introduces caching and shows you what it will and won't do for your district. This recorded webinar explains why bandwidth upgrades can�t be the only tool in the box to manage e-Learning capacity. This recorded webinar looks at why the FCC has added caching technology to E-rate, how it works and what it brings to the party. This recorded webinar describes the particular needs of K12 and the capabilities schools will need from their caching technology. Community Consolidated School District 89 is a pre-K-8 public school district serving students and residents from the southern portions of Glen Ellyn, Wheaton and Lombard, Illinois. ApplianSys announced today that Consolidated Community School District (CCSD) 89 in Glen Ellyn, Illinois, has bought a CACHEBOX solution to maximise bandwidth and improve internet browsing speed for its students. CCSD has a 100Mbps internet link handling around 800 devices. With plans to introduce a 1:1 student-device scheme, the network will need to handle an additional 800 personal devices over the coming year. Network Manager Jeff Romani was keen to find a simple caching solution that would allow the school’s existing network infrastructure to accommodate more devices without putting additional strain on the available bandwidth. He sought the advice of the IT Director at Glenbard High School who recommended CACHEBOX. Jeff explains: “With a four-man technical team administering 6 buildings, simplicity and easy management were critical in choosing the right solution. “A lot of student network traffic comes from video sites like YouTube, Discovery Education and mathletics.com. For our 1:1 scheme to work, the ability to cache video is hugely important – and CACHEBOX does this well. Established in 1869, St. Johns County School District (SJCSD) is a large district on the Northeast coast of Florida. 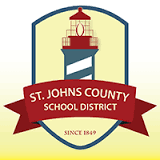 ApplianSys is pleased to announce that St Johns County School District – one of the largest public school districts in Florida, USA - has purchased a CACHEBOX solution to provide faster access to online education for students. The district caters for over 35,000 students across 44 K-12 school sites. Each school connects to the district's Wide Area Network via a 50 to 100 Mbps internet connection. Two years ago the district piloted a 1:1 student-to-iPad scheme in one of its elementary schools as part of its independent learning program. By providing each student with a device, teachers can prepare lessons using tools that adapt educational content to a students' own learning pace using real-time testing data. Despite initially deploying only a few dozen iPads, when students accessed large video files or the devices downloaded software update files, the internet connection quickly saturated. This made browsing extremely slow for students. Assistant Director for Network Services, Justin Forfar, knew that as more devices were distributed to students, the district would face issues with bandwidth congestion. He contacted ApplianSys and tested a CACHEBOX210 appliance at one school. Once deployed, CACHEBOX was saving 61% of bandwidth just by caching software updates and specific educational sites. On top of this, objects served from the cache were delivered to students over 90 times faster (7 Kbps to 645 Kbps). “During peak times, such as at the start of lessons, the district was receiving 200Mpbs speeds from a 40Mpbs connection,” says CACHEBOX Sales Executive, Sophie Clark. Extremely pleased with the results, Justin decided to purchase a CACHEBOX to handle student traffic for its South Woods Elementary School. Since then, the district has deployed a further six CACHEBOXes as the 1:1 scheme is phased out to other schools, including 2 elementary schools, one middle school, one technical school and 2 academies. “By dealing with the biggest bandwidth hogs, CACHEBOX improves internet usage, allowing teachers and students to get the most out of independent learning. Crucially for those schools disadvantaged with smaller links, it makes the internet useable,” says Sophie. Webb City R7 School District provides education for over 4,300 students at 11 schools from pre-kindergarten through 12th grade. ApplianSys is pleased to announce that Webb City R7 School District in Missouri has purchased a CACHEBOX310 to improve internet browsing speeds following the launch of a 1:1 student-to-device scheme. Even before the launch of its 1:1 scheme, bandwidth at Webb City was frequently saturated, making internet access sluggish. With 1:1 set to double the number of devices on the network, the District decided to upgrade its connection from 100Mbps to 250Mbps. Upgrading bandwidth helped Webb City keep pace with the addition of devices, but still left the problem of slow access at peak times such as the start of lessons or during Operating System updates. The school turned to CACHEBOX to help deal with these issues. Having deployed CACHEBOX310, Tim White, Technology Director at Webb City now lists it as one of the key tools that he wouldn't launch a 1:1 scheme without: "CACHEBOX makes our 250MB connection feel like 750MB+" he says. "It saves us 100-600GB per day. Without it YouTube brings our network to a crawl or gets traffic shaped to oblivion." "Technology has an ever-growing role in the classroom," comments Roger Clark, ApplianSys Head of CACHEBOX Sales. "When lessons are planned around online content, being unable to access it is hugely disruptive for teachers and students. CACHEBOX helps schools protect their investment in student devices by ensuring a reliable connection to the internet." Metropolitan School District of Perry Township provides K-12 education to over 14,000 students at 17 Elementary, Middle and High schools. ApplianSys is pleased to announce that Perry Township School District in Indianapolis has purchased a CACHEBOX310 to save bandwidth and support the growing number of devices on its network. Like many schools in the US, Perry Township's internet connection was struggling to deliver an increasing volume of online education content at a usable speed. With 450Mbps to share between 17 schools, the district's bandwidth was regularly at full capacity. "Perry Township already used traffic shaping and content filtering to help reduce the strain on its connection," says Sophie Clark, ApplianSys Sales Executive. "But with an additional 3,000 devices to support, peak demand for bandwidth was going to significantly outweigh capacity. Buying additional bandwidth seemed unavoidable." Even a modest upgrade would cost thousands of dollars per month, so before signing up, the district investigated web caching as an alternative. A key concern was to find a cache that would work with the district's existing internet filter. "CACHEBOX was designed with schools for schools, so can be integrated with a range of existing content filters" comments Sophie. "By deploying CACHEBOX310, the district has been able to delay its bandwidth upgrade. Its schools now have the capacity needed to fully support online content like YouTube, which previously had to be de-prioritised by traffic shaping." 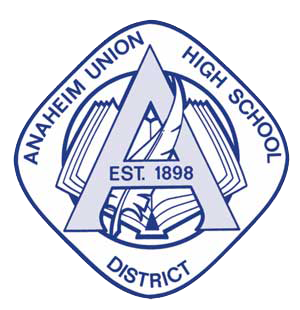 Founded in 1898, Anaheim Union High School District (AUHSD) has a student population of approximately 31,000, making it one of the largest school districts in the state. ApplianSys is pleased to announce that Anaheim Union High School District (AUHSD), one of the largest school districts in California, has selected CACHEBOX to optimise bandwidth and speed up web browsing at its schools. The district has a total of 24 high schools which share a 1Gbps bandwidth connection. With 12,000 devices and 50,000 concurrent users on average, this link was heavily congested. During peak times, traffic from the district’s BYOD scheme and educational content slowed browsing speeds and wasted classroom time. AUHSD’s CTO, Erik Greenwood, upgraded the link to 2Gbps, with plans to further scale the network to 10Gbps. But, even with that much capacity, it was clear to Erik and his team that bandwidth alone wouldn’t deliver the load speeds now demanded by the District. In the past, the District had considered caching, but the solutions were way too expensive and not ideally suited to caching for schools. Prompted by E-rate 2014-15, Erik took a fresh look at the technology, assessed the alternatives and found that CACHEBOX420 provided the perfect solution. With its long heritage as a dedicated schools cache, Erik was also confident it would deliver a better return on investment than the enterprise caches he’d previously looked at. In fact, it was so affordable the district didn’t need to use E-rate funding to acquire the solution, which will include a cluster of seven CACHEBOX420s deployed in a WCCP cluster at the District’s network core. Miami Dade school district is the fourth largest school district in the US. It stretches over 2,000 square miles and comprises nearly 400 schools with 350,000 students and 40,000 employees. Appliansys is pleased to announce that Miami-Dade County Public Schools, the fourth largest school district in the United States, has bought 220 CACHEBOX050s to ease difficulties with limited bandwidth at elementary schools across the district. In addition, a CACHEBOXCMC) radically simplifies the deployment and management of large, distributed caching solutions. The CACHEBOXCMC will be installed to streamline the deployment and management of this large fleet of appliances. Schools in Miami-Dade have 3-10Mbps connections, which in recent years have struggled to support increasing demand for bandwidth intensive resources such as YouTube, and interactive services from Pearson Education. During extensive classroom trials, 97% of the educational content was delivered from the CACHEBOX - just 3% fetched from the internet - making browser performance highly responsive. CACHEBOX Central Management Console (CACHEBOXCMC) radically simplifies the deployment and management of large, distributed caching solutions. "With the CACHEBOXCMC there is no need to send anyone on-site to deploy or support the solution, someone at each school just needs to plug CACHEBOX in to power and the internet," commented Roger Clark, Head of CACHEBOX Sales at ApplianSys. "Tasks like initial configuration are performed once on the CMC and rolled-out to the connected CACHEBOXes in a single click. So Miami-Dade now has a caching solution that is economically viable and sustainable in the long-term." Nueces Canyon Consolidated Independent School District (ISD) in Texas purchased a CACHEBOX solution to ease bandwidth congestion from educational downloads and software updates. Nueces Canyon ISD shares a 40 Mbps link among 3 schools with up to 180 users browsing the internet at any point. It runs a 1:1 student-to-device scheme whereby teachers upload learning content to a website for students to access using Android-based 'LearnPads'. The district's connection would become saturated whenever teachers uploaded a new assignment to the LearnPad site because many students would try to download it simultaneously. Louis is delighted with the outcome: "CACHEBOX has met and surpassed my expectations! It just sits there and does its job - that's exactly what I was looking for in an appliance. It's far better than anything I've used in the past. The savings we are making on software updates and the 1:1 scheme are phenomenal: I'm getting a minimum of 40% average bandwidth savings per day. "I would recommend CACHEBOX to any school, especially ones with a 1:1 deployment"
Pender County School District provides education for approximately 9,200 spread over 16 schools. ApplianSys is pleased to announce that Pender County School District, North Carolina, has purchased a CACHEBOX solution to facilitate a large 1:1 scheme across its 19 sites. Pender uses a 500Mbps connection to serve 9,200 students. With its 1:1 Chromebook-to-pupil scheme in place, this internet link was frequently saturated. The district was initially planning to use its E-rate funding to buy the solution. However, given CACHEBOX’s affordability, it decided to complete the purchase outside of the government scheme. A CACHEBOX420 has been deployed in the district’s core and serves requests to its 19 sites. Students can now access video and other large files including educational materials at much faster speeds. This doesn’t change even on the days when Chrome system updates are being downloaded.